We've made some major changes to our Simply Lovely Dress, now called Miss Beatrice. You'll love it even more. Miss Beatrice is easy, yet can be so elegant. A perfect play dress or an Easter Dress...it's all up to you and the fabrics you choose. 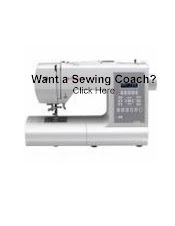 The best part is that you are assured of a great fit. 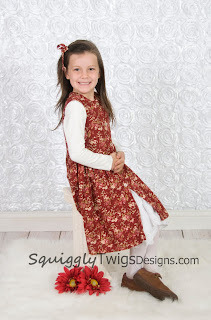 Customize this dress by drafting a pattern based on your own favorite shirt. You'll be assured a great fit. 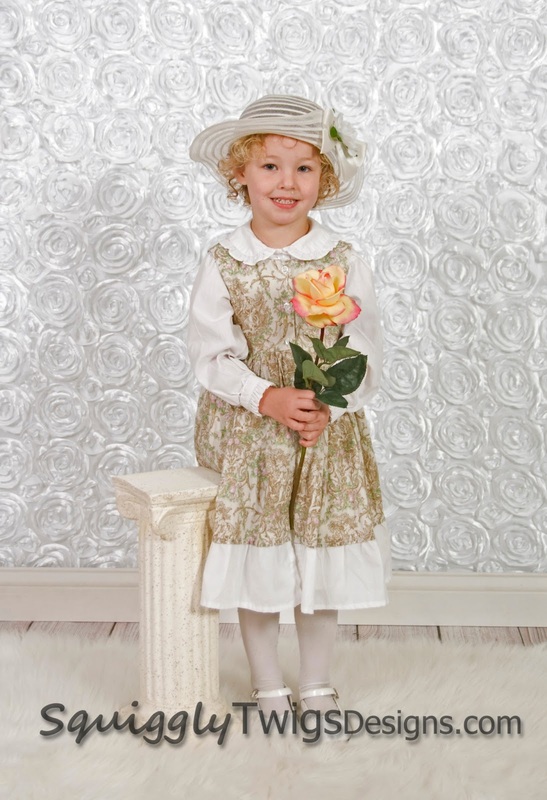 With this pattern-making knowledge, you can create a dress in any size from infant to adult. You can mix things up by using an empire waist or changing the length of the skirt. We use a long sleeve or short sleeve blouse under this dress, along with a petticoat. The petticoat tutorial can be found on the Tutorial Page of our website. We've also included pattern pieces for a matching 18” doll dress. 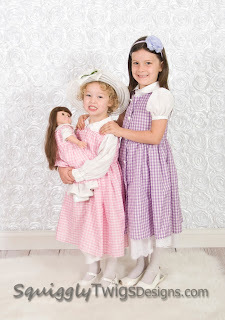 For those of you who already own the Simply Lovely Dress e-pattern, you can request Miss Beatrice for free. Just email squigglytwigsdesigns @ yahoo . com and tell us you'd like your Miss Beatrice. This is like a jumper. Very cute! Yes, It can be worn with or with out a shirt under. Put buttons all the way down and leave out the petticoat. Click on the link to accept it!